Happy WW from your newest follower. Great shots of the fishes in the aquarium. We're bring the kids to an aquarium too next mth.. Hope they love it as much as your kids did. Those photos are gorgeous! 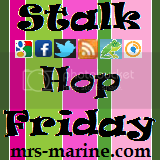 Stopping by from a blog hop! Beautiful blog! I like the first, where they are looking into the tank. I can't wait to take our girls to our local aquarium! So awesome! Man, I want to go SO bad! LOL! We are trying to plan a trip to Sea World for next month... Crossing fingers! That looks like so much fun. I have got to get my kiddos to some place like that. Thank you for sharing. Happy WW! What gorgeous pictures. We love aquariums! Hey which aquarium were you at? We have some similar themed photos from Boston a few weeks ago. Great photos, but wait a minute! In the first picture, where is the tall guys head? Am I the only one who doesn't see it? LOL. I love going to the aquarium! !